Happy Valentine's Day! 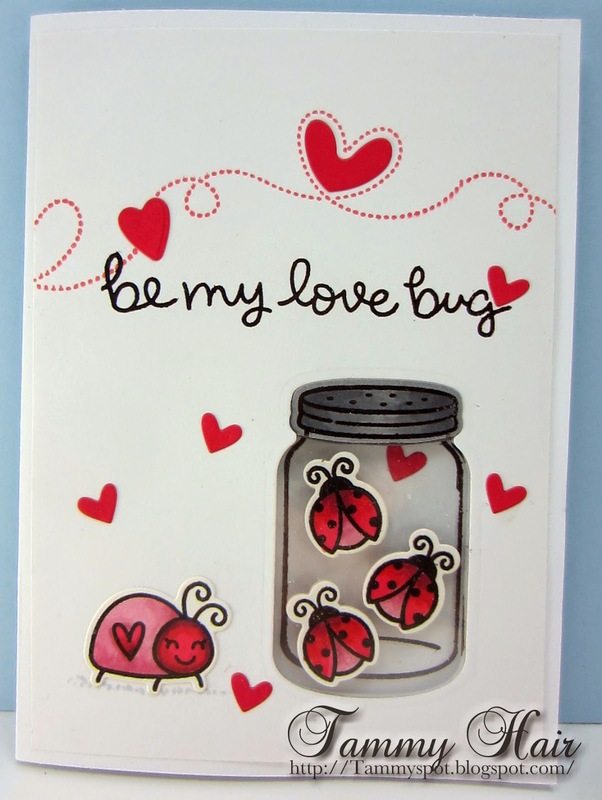 My card today features the adorable Bugs and Kisses from Lawn Fawn. I used three pieces of plastic to create the jar, one for the outside and one on the inside for the ladybugs to crawl on and the third pieces was used for the back of the jar. I just had to jump in here and say - That is so cute Tammy! Happy Valentines Day to you! This is gorgeous Tammy, your design is amazing, the dimension on the jar looks so effective and the ladybugs are so cute. 3 sheets of plastic...that's masterful crafting right there! Thanks for the inside shot of the card too. I absolutely LOVE your love bugs!!! Cool card, Tammy! Ladybugs are so pretty...and the only ones I don't mind having around! Super creative and super cute too! Amazing! Love all the lady bugs too you know. That jar looks REAL! 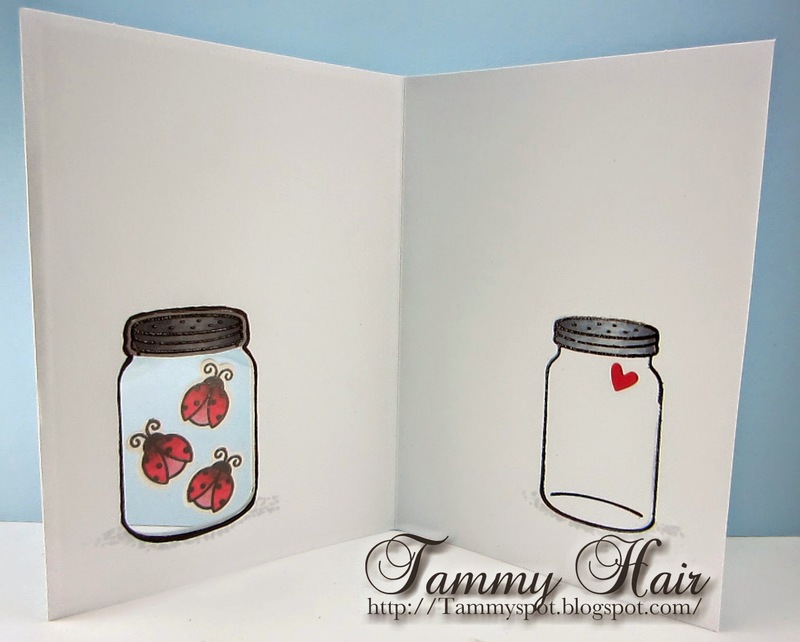 Super cute Tammy..love your love bugs and the jar is awesome. Fantastic design and I love the sentiment. Ha! Clever and super cute! Those ladybugs look so happy! This is cute and so very clever! Precious card, inside and out, Tammy!